William Monéy's tombstone, showing his octagonal San Gabriel house. William Monéy was the great-granddaddy of all California cult-leaders and mystic eccentrics. The founder of the first historical indigenous sect in California, as well as the author of the first book published in Los Angeles, the irascible, querulous Monéy argued and blustered his way into Golden State spiritual history as the original, quintessentially Californian religious crank. What little we know of him comes mostly from his few surviving writings, as well as from the spotty reports of the mid-19th century Los Angeles press, and the recollections of early Anglo-Californios who crossed paths with the singular religious prophet and self-taught frontier eccentric. According to his own accounts, Monéy (he pronounced his surname Mo-NAY, in deference to Hispanic usage) was born into a working-class Edinburgh, Scotland family in 1807. “By a singular circumstance,” he said of his nativity, “I was born with four teeth and the likeness of a rainbow in my right eye,” as well as a veil on his brow. His father died a year later, and he was brought up by his mother as a precocious autodidact, studying natural history at the age of seven, and soon adding philosophy, law, medicine and theology to his youthful intellectual pursuits. Family poverty, however, forced him into the workplace, and at twelve he began an apprenticeship with a Glasgow-area paper manufacturer. Monéy endured Glaswegian factory life for five years. But he ached to travel and study “the religions of the Jews, Gentiles and Christians,” and at 17 he embarked on a voyage to the New World, landing in New York in 1825. There, he heard the call to preach the Gospel while standing on a Manhattan street corner, and decided that the newly-independent Republic of Mexico cried out for his ministrations. The Gospel that Monéy preached, in keeping with his background and with the tenor of the times, was an ultra-Protestant one. Centuries of anti-Catholic feeling in the United Kingdom (particularly in Monéy’s native Scotland), combined with fears of the increasing Catholic immigration to British and American shores, fed a rising tide of theological and political anti-Popery in the English-speaking world that no doubt deeply influenced the young evangelist. And Monéy’s destination, nominally-Catholic Mexico, was just beginning a struggle over the Church’s political influence that would bedevil the nation for over a century. Monéy first migrated to Mexico City, where he opened a small paper factory. Then he shifted his operations to the town of Piquito, Sonora, where in 1835 he began a series of public debates with seven different Franciscan friars about the nature and teachings of the Roman Catholic Church. Like so many other would-be reformers before and since, Monéy argued that the Church had lost its direction over the last fifteen centuries, and that it needed to jettison its dogma, ritual and priestcraft, and return to the first-century Christian community’s simple evangelical approach and Bible-centered doctrines. These and other learned propositions were discussed and rediscussed, constantly for five years, during which writing paper arose to such an enormous price that special enactments were made withdrawing the duties thereon. Time would not admit of detailing the shadow of what transpired during the session. After triumphantly driving the Franciscan padres to defeat, exile, insanity and death, Monéy traveled to the settlement of El Pueblo de la Reyna de los Angeles ("The Town of the Queen of the Angels") in Mexican Alta California. Home to around 2,000 Mexicans, Americans and Europeans in 1840, the pueblo employed Monéy, apparently a skilled craftsman, to repair the plaza church for $126. Monéy also used his cartographic skills to draw up a map of a proposed land-grant for the wealthy Sepulveda family. 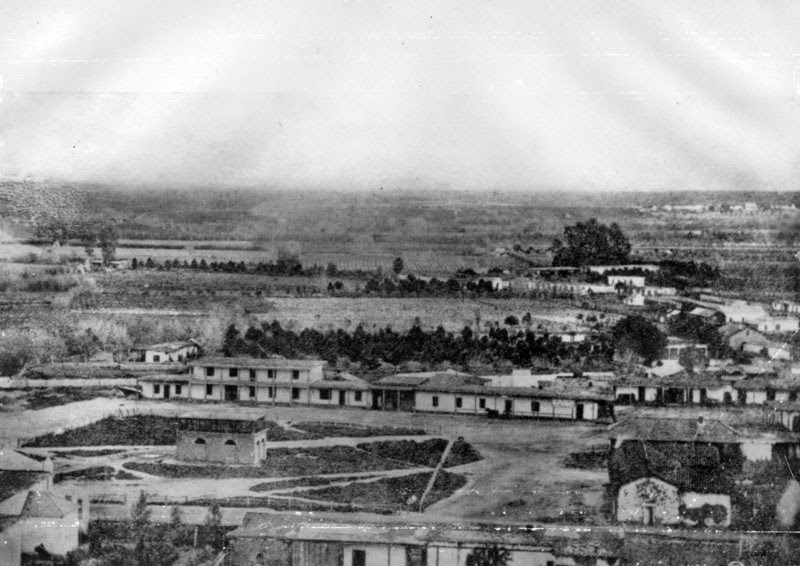 Monéy migrated between Los Angeles and Sonora throughout the 1840s. On one trip during the 1846 Bear Flag Revolt, he and his Mexican wife Isabella were taken prisoner by General Stephen W. Kearny, who was leading a detachment of 100 United States dragoons to support the American California rebels. Monéy claimed that while he was in custody, Kearny’s Indian troops destroyed over 1,000 of his hand-drawn maps of the California territory, which John C. Fremont later estimated may have been the greatest collection of its kind in the United States, and worth as much as $250,000. The Scots-Mexican-Californian sage tried to sue the US Government for compensation, but was rebuffed. By the time California had become American territory, Monéy had turned his attentions towards other fields. In the classic manner of the American frontier, the multi-talented Monéy settled in Los Angeles, and reinvented himself as a doctor and healer, albeit one unlettered by any known medical school. The self-taught physician would later claim that in this career he had treated over 5,000 patients, only four of whom died under his care. Monéy also said that he’d written two full-length medical books, complete with full-color illustrations, although apparently neither volume ever made it to print. Eventually, faced with more educated and sophisticated competitors, as well as a litany of complaints about his conduct during a smallpox epidemic, Monéy abandoned the medical profession. The Scotsman then returned to his first intellectual love: Christian theology. In 1851, Monéy claimed, he had written a massive theological work while in New York City. Titled The Church of Rome Reformed, the book earned him $300 advance money from a prospective publisher that he used to buy fare back to Los Angeles. Like his medical works, the volume – if it ever existed outside of Monéy’s imagination – never appeared in print. In the work, Monéy claimed a lifetime of suffering in defense of sound Christian doctrine: “I have been turned out of doors. I have been stricken by men’s hands. I have suffered hunger, thirst, sickness, nakedness, imprisonment, [and] treated like a foolish man.” He expected further calumny from not just the Church of Rome, but also from the Eastern Orthodox and Protestant communions, saying, “I will not be astonished to hear from these denominations as soon as this work comes to light, because it will be against their own personal interest – that they will from the pulpits thunder against this work, according…their excommunications to all them that read this work, by the penalty of unpardonable pains of hell.” Monéy, however, reassured his readers that everything in the book was “the complete truth of eternity,” and solidly based in Biblical research and interpretation. A true Christian, he said, would have no argument with any of his points. The Actual State of the Church of Rome decrees that she is infallible; the Pope, Council General and the rest of the clergymen claim this infallibility, and none of them has got [sic] this from God…. Article 41: The Primitive Church teacheth that there is not such a place as purgatory or limbo, because the Holy Scripture no where makes any mention of such places; such was invented in the 7th century to serve as a mint to the priests. But the actual Church of Rome teacheth in the creed of Pope Pius IV, Council of Trent, year 1564…that such doctrine of places should be taught to the faithfull [sic] where souls are relieved by the help of money and prayer; said council pronounces a curse on all them that say to the contrary. Article 44: The Primitive Church teacheth from the New Testament, according to St. Paul to 2d Timothy, chap. Iii, and to Titus, chap. I, that the ministers of the Gospel has [sic] authority to marry one wife, and if she dies he has the same authority to marry another. Like much of what would later be called Christian Fundamentalist theology, many of Monéy’s arguments were hackneyed, poorly-reasoned, and clumsily written. Only a small number of copies of the book were printed, and today Reform of the New Testament Church is one of the rarest of all early-Californian tomes, with the two known copies in existence held by San Marino’s Huntington Library and UCLA’s Special Collections archives. Monéy also remonstrated passionately with the followers of another New World sectarian maverick: Joseph Smith. When he challenged Elder Parley P. Pratt, a California-based Mormon leader who had been part of Smith’s Quorum of Twelve Apostles, to a debate about polygamy, the Latter-Day Saint, much like Fr. Lestrade, responded that Monéy was “out of his head, or non sana menti”, and that his writings condemning plural marriage weren’t worth addressing in a public forum. 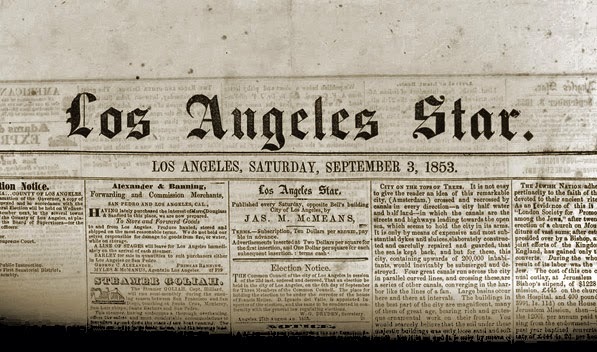 Eventually The Star, the Los Angeles paper that had hosted most of these controversies, tired of Monéy’s endless tilting at ecclesiastical windmills, and banned the Californian contrarian from its pages. Yet Monéy was not immune to the lure of the supernatural and the sensational. According to one story, he once announced that as a test of his faith, he would volunteer to be buried alive, and, like Christ, would arise from the dead in three days. When a skeptic bet Monéy that he couldn’t do it, the evangelist procured a pine box, and had himself sealed inside it in front of a crowd of spectators. A grave was dug, the coffin was lowered into it, and dirt was shoveled onto the bier. When the reality of being buried alive hit Monéy, he panicked, kicking at the coffin and screaming wildly, “For the love of God, get me out!” Eventually he smashed open the coffin lid with his feet, and climbed out of the grave, to the great amusement of spectators who remarked that he didn’t have the faith to spend three minutes, let alone three days, buried in the good earth. Around this time, Monéy wrote a 300-page follow-up to The Reform of the New Testament Church, but once again the lack of funds and interest prevented it from being published. However, in 1859, he managed to produce The Christian Church – Los Angeles’ first monthly periodical, which, like his book, appeared as an English-Spanish bilingual work. The few people who picked up the April 10, 1859 issue resisted his appeals to pay then a then-outrageous five dollars for a years’ worth of more Monéy jeremiads, and the monthly never published another number. Still, the assorted failures and embarrassments didn’t slow Monéy one whit. While he pastored his small sect, the self-styled polymath also combined his cartographic talents and his vivid imagination to produce a bizarre geographic theory he called the “Discovery of the Ocean.” Monéy maintained that inside the Earth was a vast subterranean ocean, created by a hole in the North Pole that sucked in seawater. This interior ocean was dammed on all sides by fiery volcanic rock, which heated its waters, and then expelled the “Kuro Siwa” warm currents through another hole in the South Pole. To illustrate his theory, he created a complex drawing of the Earth’s hemispheres and the hidden sea within, and filed it with the Los Angeles county archives in 1872. Monéy never completely explained the reasoning behind his theory, although historian J.M. Guinn said that the eccentric cartographer claimed that the Earth’s fiery mantle had worn through most of the crust beneath San Francisco, and predicted that the wicked city would fall through it into a flaming caldera of lava. By 1880, the septuagenarian Monéy had largely withdrawn from public life, settling in the town of San Gabriel just north of Los Angeles. On a three-acre parcel there he constructed a bizarre dwelling: two octagonal buildings of adobe and wood, linked by a gateway at the front of the property. Upon the gate were inscribed Greek, Latin and Hebrew slogans that promoted the value of learning, as well as ancient Assyrian cuneiform decorations. Behind the double gate lay Monéy’s oval-shaped main house and a small orchard. When San Gabriel’s public school burned to the ground, Monéy rented his home out to the district, which was soon dubbed “The Monéyan Institute” by locals. Although he had amassed a vast collection of books, manuscripts, charts, and mounted animals, Monéy was virtually penniless. When California historian Hubert Howe Bancroft visited Monéy in 1880, the old eccentric offered to sell Bancroft a big chunk of his possessions for $1,000, and said he’d throw in his life story to sweeten the deal. Bancroft turned him down – a terrible decision in retrospect, since Monéy’s priceless collection of early Californiana vanished after his death. Although Money’s life and writings intrigued early California historians, he has largely been forgotten today, save for the occasional mention of his doings in newspaper and magazine articles about famous Southland eccentrics. Still, he occupies a key place in Golden State cultural history, both for his pioneering literary efforts, and for the Reformed New Testament Church – the first of the countless homegrown sects that would mark California as the world’s capital of cultism and new religions. Rasmussen, Cecilia. "To Catholics, Cultist Was Beyond Belief" Los Angeles Times, 6/27/2004. Waldie, D.J. "Professor Money, God, and the First Book Published in Los Angeles (Maybe)." KCET Commentary/Where We Are, 7/28/2014. I tried EVERYTHING from stocks & forex to internet marketing and affiliate products.. I even made some money but then blew it all when the stock market went south. I think I finally found it. Grab It TODAY!! !